Life is what it is and does what it does, but we think it should be different. That gap between the facts of our lives and how we think it should be causes a lot of friction and suffering as the discrepancies rub up against us. There are two basic approaches in dealing with this gap. We can try to change the universe so it fits with our preferences, or we can learn to let go of our attachments to our fictions and come to terms with the facts of the situation. We can learn to accept the reality of what’s going on in our experience. From a place of clarity and acceptance we can then decide what to do next. Acceptance is not the same as resignation. We are not turning ourselves into doormats willing to mutely endure any injustice, rather we are beginning to acknowledge the situation as it is and are willing to do what we can to change it for the better, not from a place of suffering but from the standpoint of clear seeing. Letting go of the way it should be, for the way it is, can be a huge challenge. 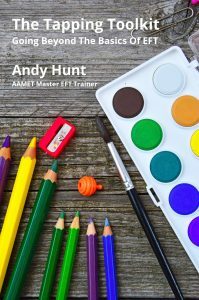 In this month’s EFT Café Andy Hunt will be demonstrating some techniques that help reduce the suffering that arises from our struggle to make the world a better place by being unhappy about it. 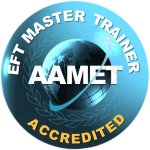 The EFT Café is on Wednesday 14th, Nov from 7pm-9pm and costs just £10.